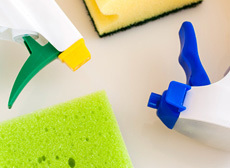 Nadia’s House Cleaning is fully licensed and insured to offer professional cleaning services to commercial and residential properties throughout Boston, Massachusetts and surrounding areas. We are committed to bringing our customers with traditional values; high moral standards, exceptional work ethics, friendly customer service, and superior execution on a consistent basis. At Nadia’s House Cleaning, our specialists have training, experience, and skills that are enhanced with the use of state of the art products and equipment only available to licensed professionals to ensure that our valued customers receive nothing less than maximum quality results. 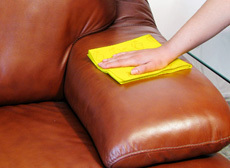 Nadia’s House Cleaning performs medical office cleaning services in the Greater Boston, Massachusetts area. Having your medical office cleaned isn’t only important for aesthetics, but also for the longevity of your support staff. Typically, medical offices attract those not in peak physical condition. Ensuring the well being of patients and your office staff is important. Getting your medical office cleaned well trained specialists can significantly minimize the spreading of germs and keep your office in pristine condition. 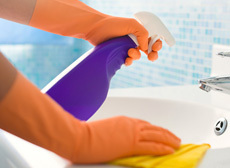 Nadia’s House Cleaning experts not only keep your medical office clean, but with our methods and techniques the germs and bacteria are also kept under control. –	Floors are cleaned and treated accordingly. 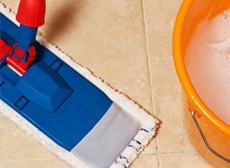 –	Bathrooms are cleaned, sanitized, and deodorized. –	Trash is removed disposed of. If your medical office in the Greater Boston, Massachusetts area is in need of professional cleaning, trust in the hands of the experts, call Nadia’s House Cleaning today! They're flexible with scheduling and there's always a live person to talk to which is a big bonus. We recently used them for a big move out cleaning of our old apartment (they got us our security deposit back which we had all but written off) and the vacant house cleaning at our new home. Copyright © 2014 Nadias House Cleaning. All rights reserved.